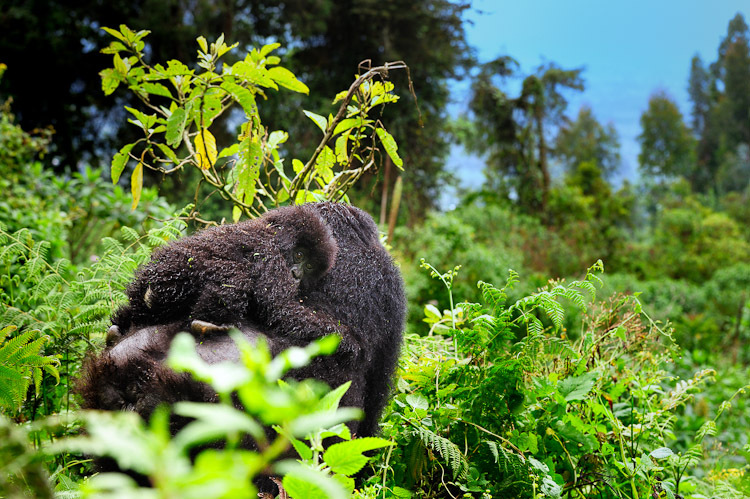 For extreme close encounters with impressive silverback gorillas, you have to travel to the magnificent Volcanoes National Park in Rwanda. 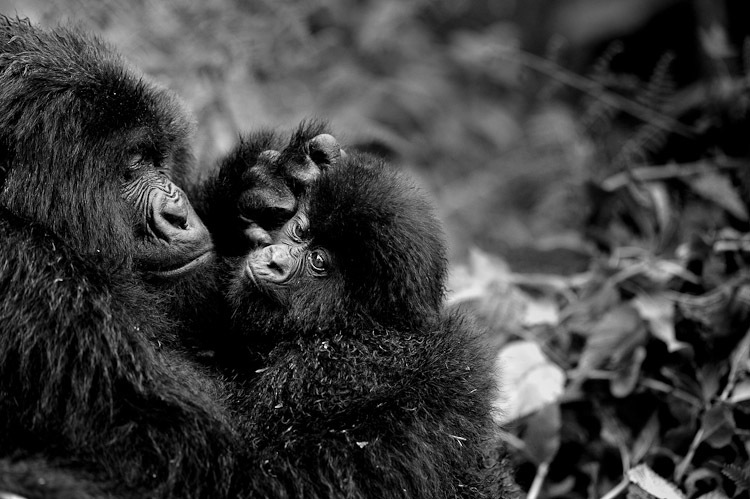 Sissies better stay home, because gorillas now and then like close. Very close. 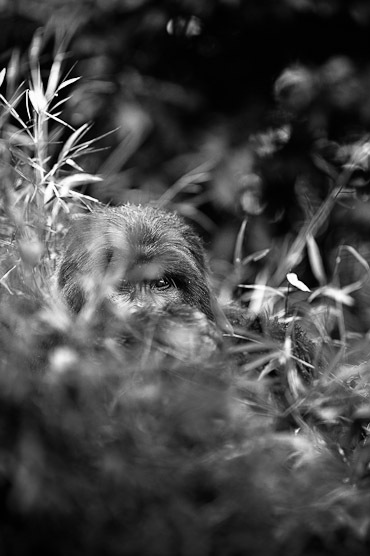 Sometimes you can almost feel their breath when they are standing right in front of you, looking inquisitively into your face.. Other moments, they give you a push, when they are running from one part of their natural bamboo covered habitat to the other. To have these close encounters, you must do some effort. 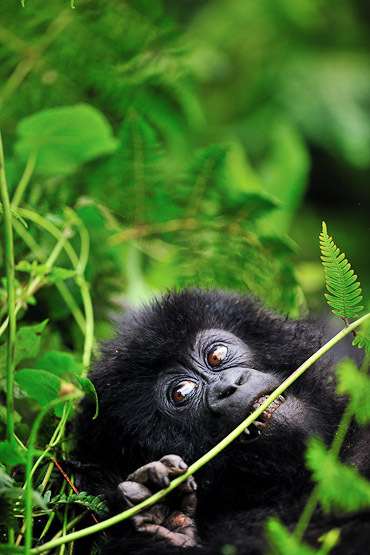 Because hiking up these volcanoes to see the gorillas is not for wimps. 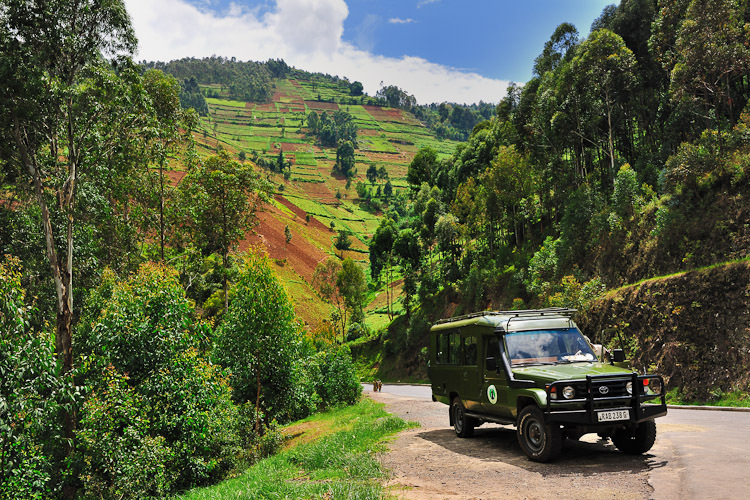 As a reward you will get to see the impressive landscape of the Virungas Mountains, stretching along the borders with Uganda and Congo. It’s a setting of dormant and active volcanoes rising up to 4500 meters high. 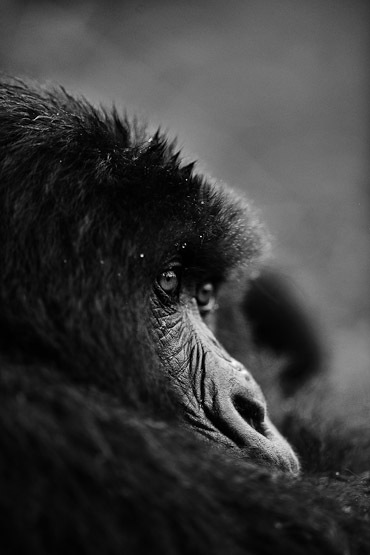 Only in this part of the world the legendary silverback mountain gorillas live in the wild. They are now protected and observed by scientists. Eight hundred in total, eight groups of families accustomed to human contact. 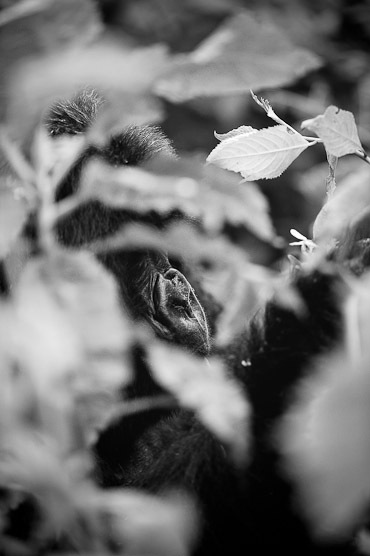 This part of the Virungas Mountains was once the location where Dian Fossey in the 1960s lived for twenty years long amongst these primates and gave her life for the protection of this endangered species. A long or short hike? A lot has changed since then. Now there is tourism. Call it good or bad, but it does provide the local community an income and reason why not to poach anymore. While Insiders claim that more money should go back to the locals. Now it mainly disappears into the pockets of the government and big tourism organisations. For the tourist, the infrastructure got much better than it used to be. 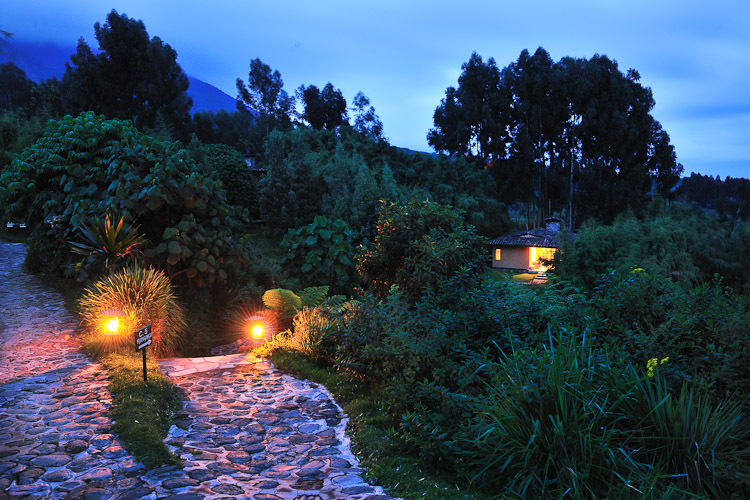 Nowadays you can stay in very comfortable lodges like the Sabyinyo Silverback Lodge. Perfect to use as a base before or after a hike. Every morning a maximum of 80 people are allowed up the mountain. 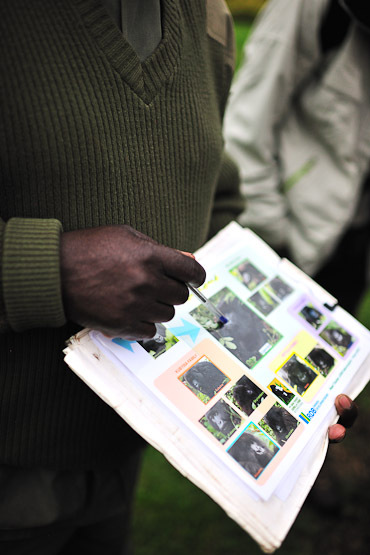 Groups are divided with no more than 8 people, together with an experienced guide and a handful of porters. 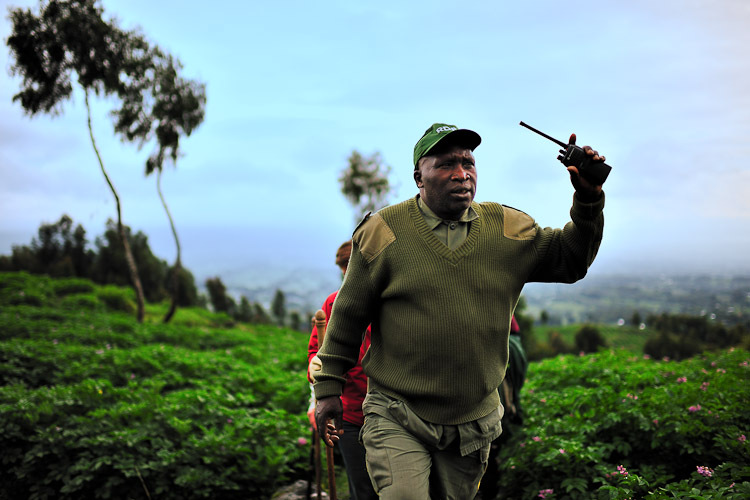 We got lucky; our guide was Francois, the most famous of them all. 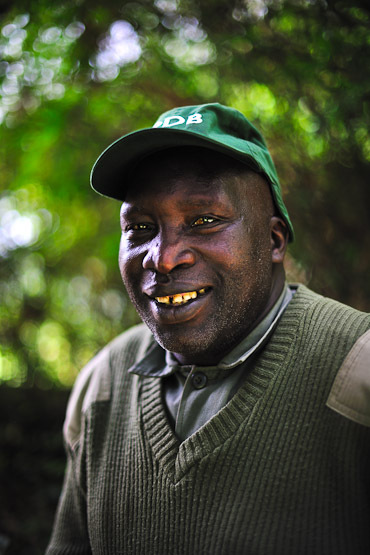 He is a real “ancien”, once worked for Dian Fossey, and quite a character to have as a guide. 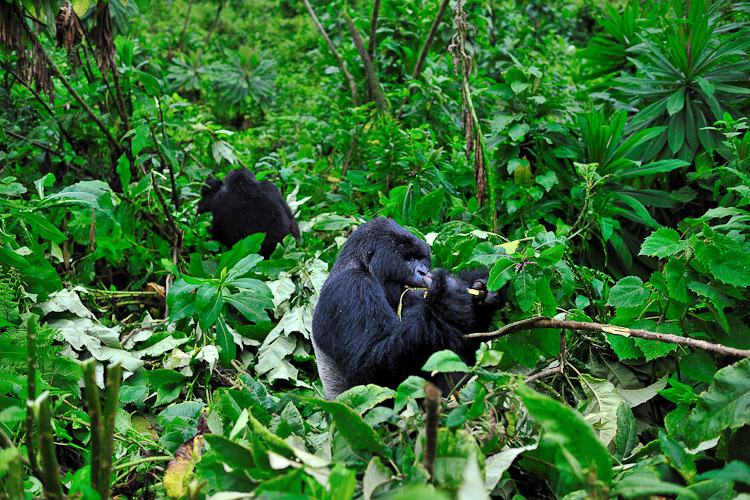 A hike can vary a lot: sometimes the group is close, others have to hike for hours to see the gorillas. Once found, you can spend exactly one hour observing and watching them. 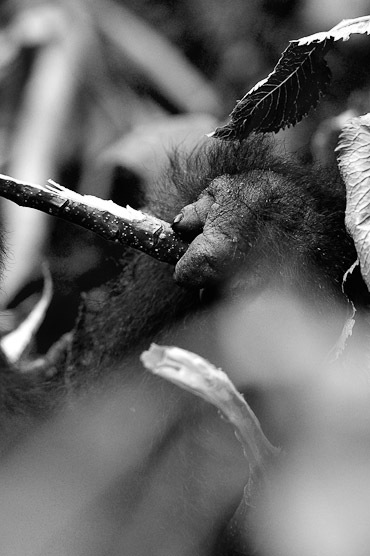 Respecting their territorium and habitat. 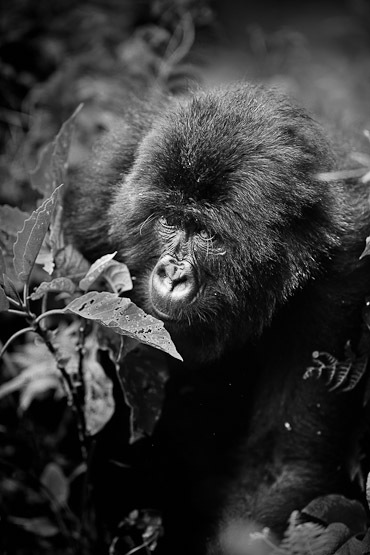 Our close encounter was a silverback running towards the group and giving Francois a firm push. “No worries!” Said Francois. “I know them and they know me.” Francois made a couple of growling noises, thus communicating with the gorillas. Impressive. Not only Francois being obviously very close to the animals but the whole experience. 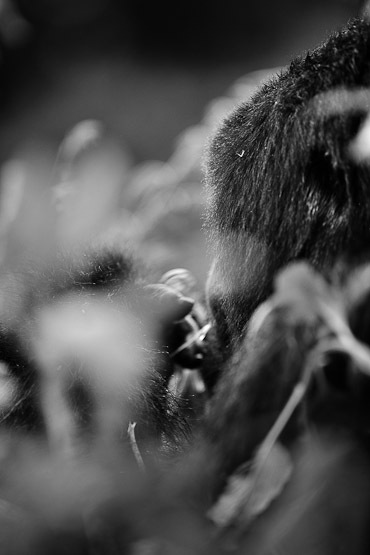 Because let’s be honest: nothing beats a gorilla trekking and afterwards going back to a comfy lodge where you can toast with a G&T to a memorable and successful day. Cheers to witnessing one of the most extraordinary animals on this planet. This region is an inspiring piece of Africa. Not too touristy, safe and well organized and one of the only places where you can see these gentle but impressive primates in their natural habitat. A habitat of green, impressive mountains, mostly, of course, hidden in de mist. 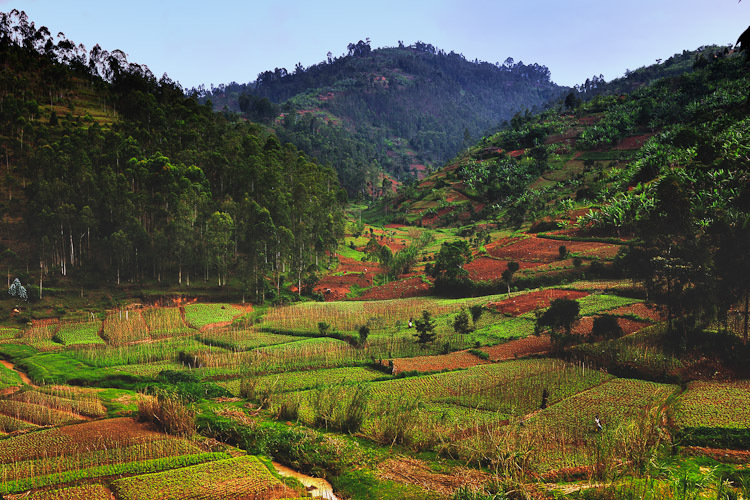 Traveling to Rwanda is very easy. A lot of carriers fly to Kigali: KLM, Qatar, Brussels Airlines. Rates start at 445$/person full board. 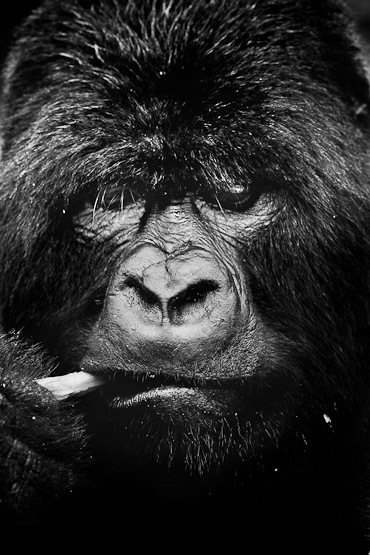 A gorilla permit fee to trek for one day with one hour visit will set you back for 500 dollars per visit. When you order a permit after June 2012, you will have to pay 750 dollars.